1. Welcome Mat or Outdoor Rug — Not only do welcome mats give your porch a finished look, they get buyers’ attention and clean guests’ feet before walking through your home! 2. 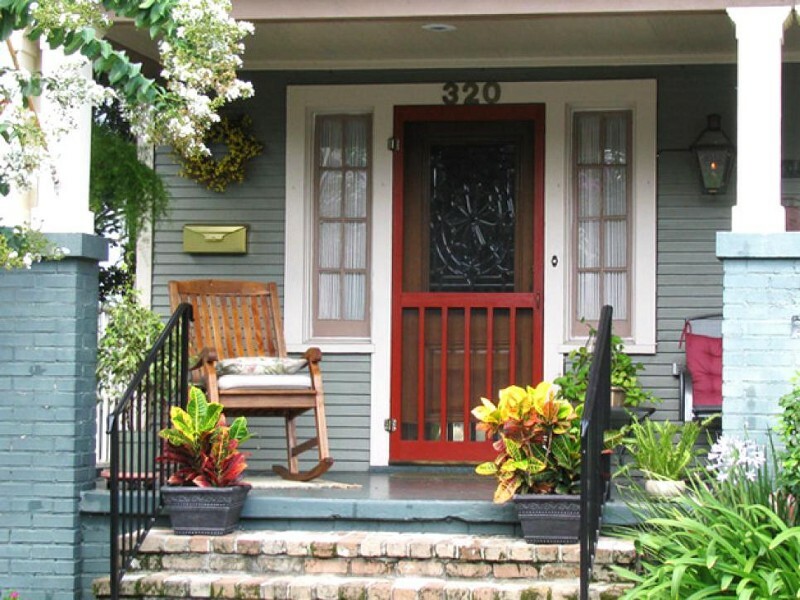 Potted Plants or Flowers — For a symmetrical look, place a pot on either side of your front door or on the top step. The touch of life gives buyers a positive first impression before even making it inside! 3.Functional Lighting and Clear House Numbers — Buyers need to be able to find your home! Make it easy for them to see the house numbers by making sure that they are clearly marked and properly lit up. Having lighting that doesn’t work is something the new homeowner will have to fix and will leave a bad impression on potential buyers. 4.A Place to Sit — Just the sight of a comfortable place to sit and relax gives an instant sense of welcome-ness to buyers. Creating this look keeps your home from looking cold or stiff. 4.Keep It Clean and Tidy — Put a fresh coat of paint on your front door if needed. Touch up any trim, siding or flooring. 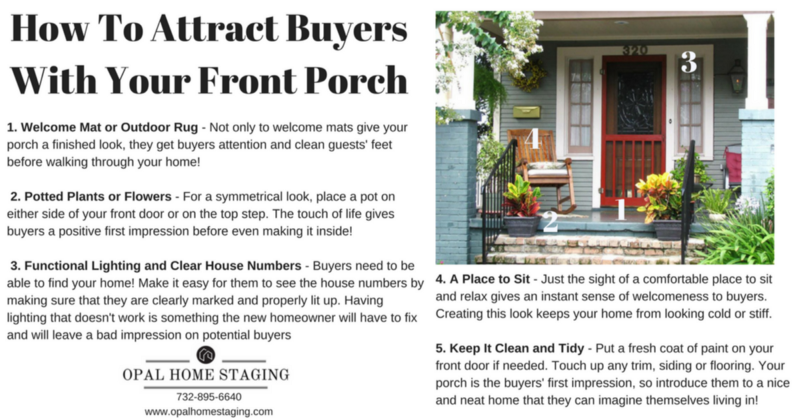 Your porch is the buyers’ first impression, so introduce them to a nice and neat home that they can imagine themselves living in! Now go look back at the top picture and see if you can identify these tips in the real-life example! Welcoming, right?